In this modern age when everything has taken a new shape, you cannot think to carry on with old. A kitchen is a multifunctional place, a hub of the house. It is the room that has developed from a useful unit to a versatile room for entertaining guest, preparing food and shares your meals. The design that embodies the concern of the modern movement is hygiene, efficiency, and standardization. In 60’s and 70’s European design is highlighted by Spazio Viva. Spazio Viva has brought the idea of the mobile kitchen that incorporates small refrigerator, stove, storage space and cutting board etc. It was designed by Virgilio Forchaiassin. He has designed it for the Italian company. It is a type of Frankfurt Kitchen for the young and affluent people. You can take this awesome kitchen along with you wherever you move. Thus, it has been noticed that from the past years this outlook of modular kitchen is existing in the mind of the people and you can say this is the best all-in-one modular kitchen ideas for small space. 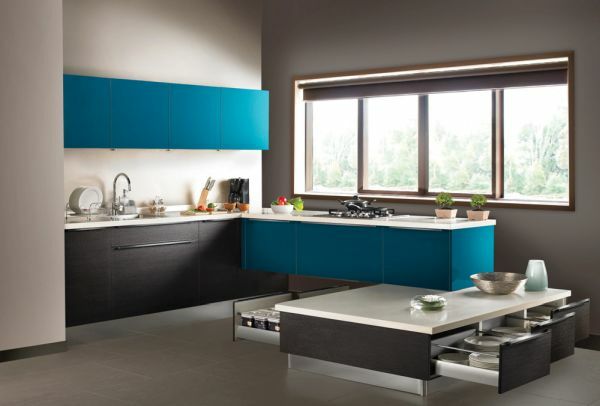 Compact kitchens are taken as the best for small dwellings where you cannot get enough space. 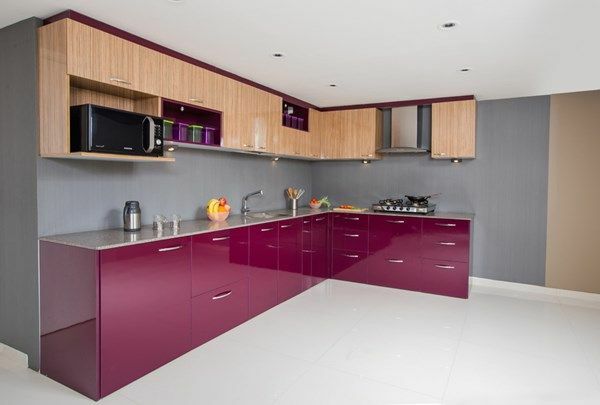 It has been manufactured by German manufacturer Warendorf for those who have the least space to move in and in this type of kitchen, you can save space. This compact kitchen or you may call it Tower Kitchen is designed by French designer Philippe Starck. Its specialty is that it is 2 standalone units that take up space not more than one square meter of your kitchen floor space. It is called tower because you can separate into the hot tower that provides space for conventional oven or a steam oven. The other one is the cold tower which is used for a refrigerator. You can also integrate your electrical gadgets like dishwasher or microwave in this tower kitchen. 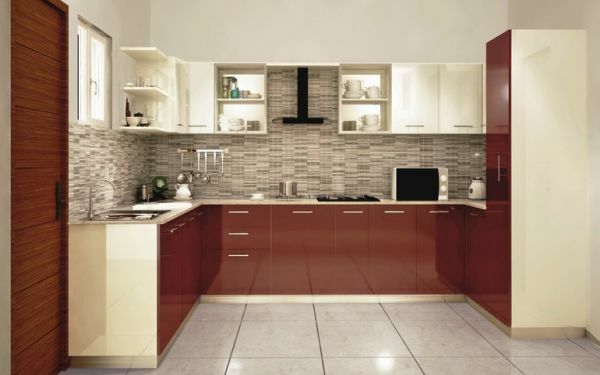 The kitchen can enhance the beauty of the room. 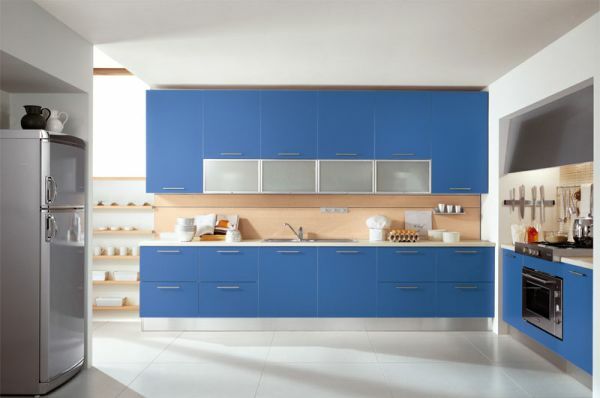 A kitchen outlook has been transformed from a conventional kitchen structure into a modules A la carte kitchen. You can adapt it to any room setting to fit the existing type of connection that is wall related, room partition or can use it as free-standing. A magnet will join the modules from one to another. For further accessories, you have to use the repository in between the gap of two modules. You will get a chopping board or you can use it as the small dish rack. Another benefit you can get that is even room for the kitchen garden. Kristin laass and normal ebelt are best known for creating this small type modular kitchen. The basic idea behind this is to fit and accommodate everything from kitchen units into the small space. The main purpose of it is to adjust the diverse practice of its users, to make it a smooth work cycle, and intuitive operation of those who are using the kitchen. Sometimes this small type is used as the dining table when the table is rolled away then you can use it as kitchen unit. You can use it as induction cook top, oven, refrigerator or storage space. Today most of the people are living in flats and they do not have enough space in their house so they want to give a new shape and design to their kitchen in that small area. It needs a blend of functionality with personal requirements. Thus German designer Robert Schierjott and Ulrich Kohl have brought a kitchen unit that is used by the users to customize their culinary space for the daily cooking purpose. ROE9Y models include a 20-gauge stainless steel kitchen unit in which you can get countertop with sink bowl, single lever faucet, sink strainer, four electric burners, 20’’ wide electric oven and removable refrigerator. The mini kitchen is available in the form of a big trolley in which you can get all types of kitchen functions like the mini- refrigerator, drawer, storage compartments, small cutlery drawers, and sockets for small electrical appliances, big chopping board and pull-out work for your kitchen. Elfin Essential Kitchen provides a Microwave oven that helps you to prepare your food in the microwave. In this type of kitchen, you will refrigerator, monobloc mixer tap, two drawers, hand sink placement, solo microwave and many more facilities. In this modern city life, people are living in smaller places. 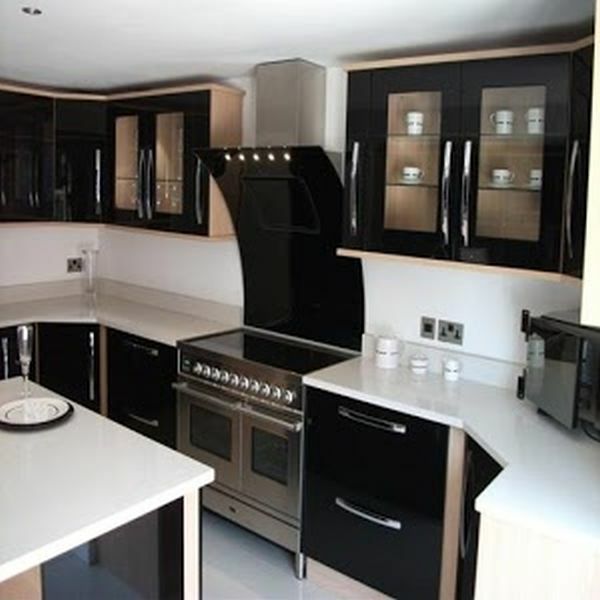 They all need a kitchen which is compact and these smaller kitchens suit them perfectly. This is perfect for urban type houses. Nowadays people do not spend much time for cooking and they prefer to have fast-food for that reasons also it is the perfect kitchen for them. This type of kitchen is small in size but that are compact for use. People change their own needs according to the situation. Nowadays they are living in houses where space is limited and they cannot afford to have a big kitchen. So they have shifted their choice from traditional to module kitchen. 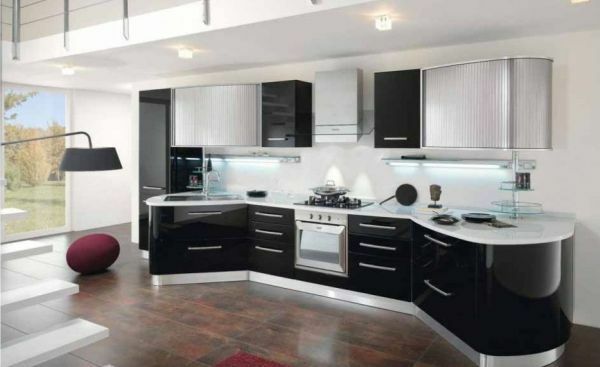 It looks nice elegant and beautiful as well as they can save space from that same kitchen.